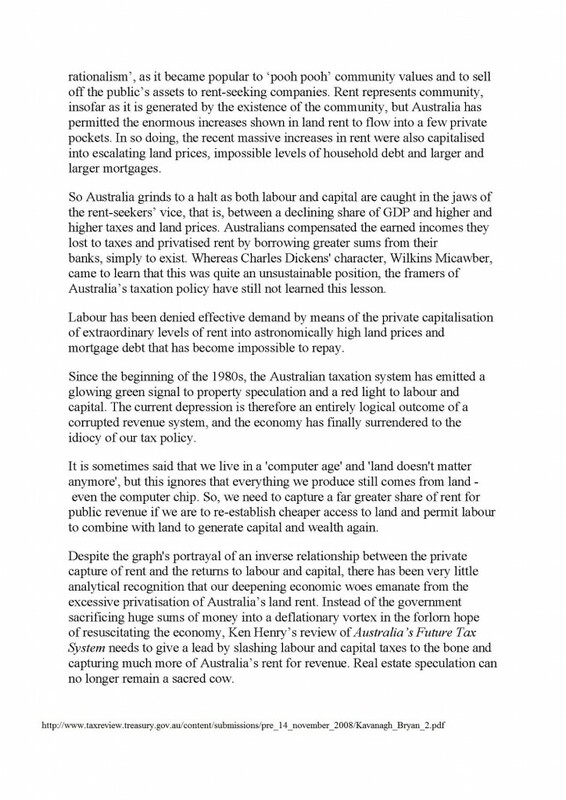 But maybe Dirk Bezemer was looking at economists only, in order to emphasise the point that so very few of these purportedly professional people were able to see this depression coming – so perhaps he wasn’t interested in people employed in real estate who foresaw it? Of course, whatever we’re called, valuers-assessors-chartered surveyors, we ought to be at the top of any list of economic forecasters, because unlike economists we do understand that the real estate market leads and directs the economy. 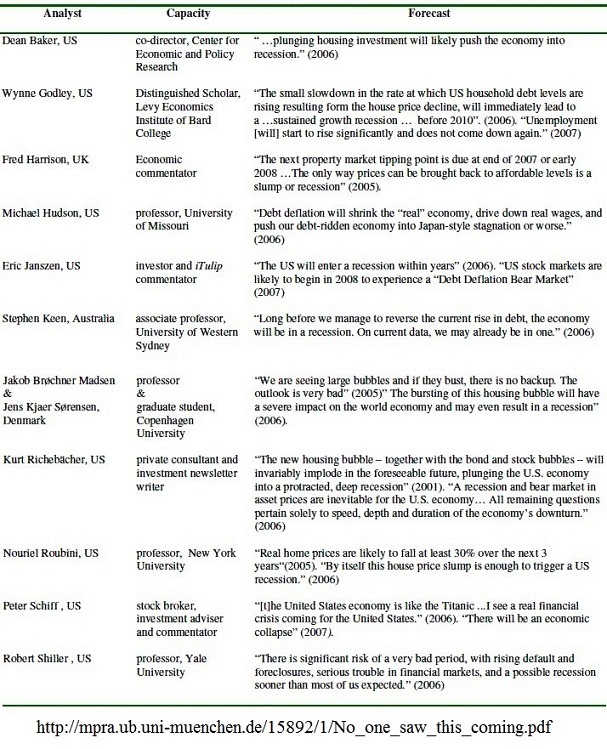 Economists don’t, except for the handful on Bezemer’s list; that’s what distinguishes his tiny group from their more pedestrian confreres. As Henry George once famously said, economists who can’t explain financial depressions are simply “mules packing a library”. 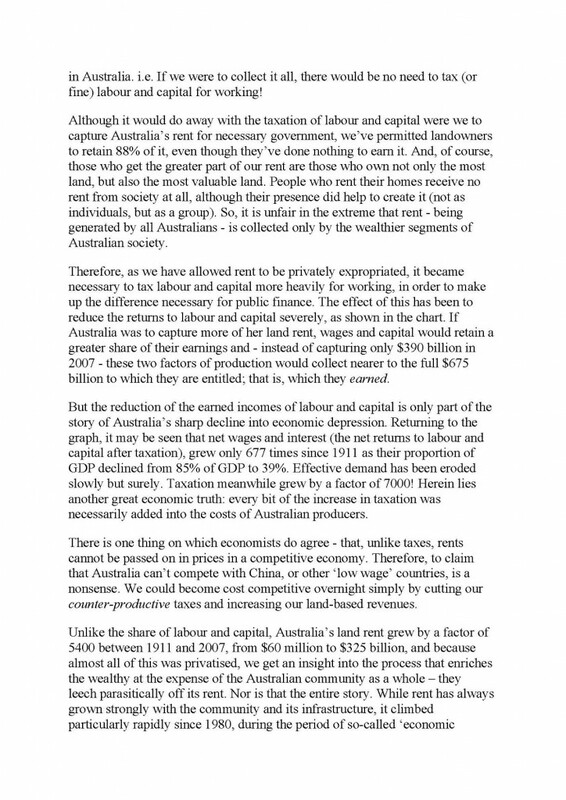 And I hope my two submissions to Australia’s Future Tax System, one of which I reproduce here, may have influenced the recommendations of Ken Henry’s committee. You never know. Although the land tax recommendation was put in Fred Argy’s final communique, the real purpose of the ACCI-ACOSS summit was to pave the way for the GST – although Mike Schildberger (who chaired the summit) had another cute name for it back then (which now eludes me). And no, I certainly don’t mind your proposal to keep the bastards honest, Magnus. Excellent and clear submission Bryan, and yes, you should have been on that list, because your 2007 report is clear! Of course, this explains why everybody tries to paint the Georgists as crazy, because there would be blood in the streets tomorrow if they truly understood how the economy worked. 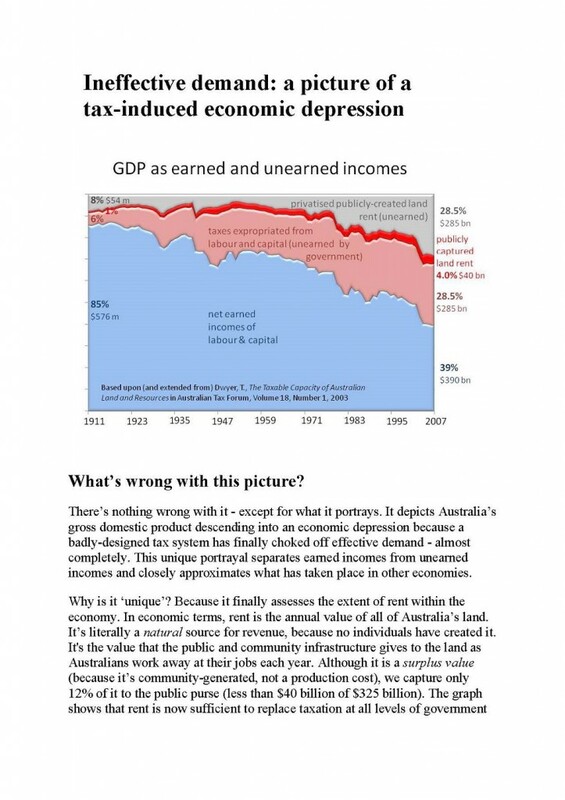 I’ll be referencing your 2008 piece for a not insubstantial forthcoming economics piece if you don’t mind.